When animating traditionally, it is very important to stay on model. Losing the proportions or features of a character is easy to do. 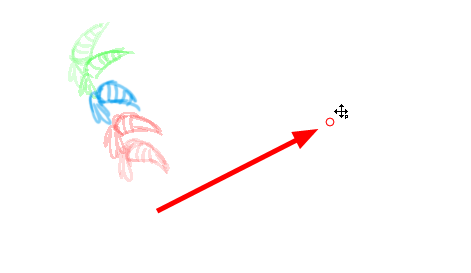 The Shift and Trace feature makes it possible to temporarily move a drawing so that you can trace it on another one. This is similar to animators working on an animation light table and using cut-out pieces of a character to move it underneath the new drawing and trace it. The Shift and Trace option will not modify your drawing, it will only allow it to be moved, rotated or scaled in the Shift and Trace mode. As soon as you disable the Shift and Trace option, the repositioned drawing returns to its normal state. Refer to Customizing a Keyboard Shortcut to learn how to customize keyboard shortcuts. 1. 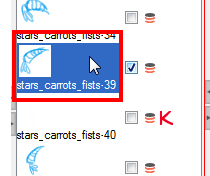 In the Tools toolbar, enable the Onion Skin feature. 2. Open a Drawing view. 3. In the Xsheet view, select the range of drawings you need to shift and trace. This selection should include at least the layer containing the piece you need to trace and the new drawing in which you will trace. 4. 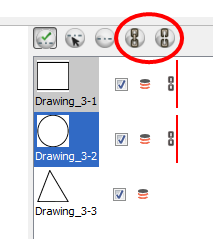 In the Xsheet view, right-click on your drawing selection and select Drawings > Send to Drawing view. 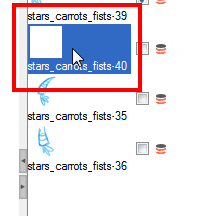 The selected drawings are sent to the Thumbnail view which appears in the Drawing view. The Thumbnail view is situated by default on the right side of the Drawing view. You can change its positioning via the Preferences panel. 5. Press on the Shift and Trace Enable button to enable the option. Registration holes appears at the bottom of your drawings. 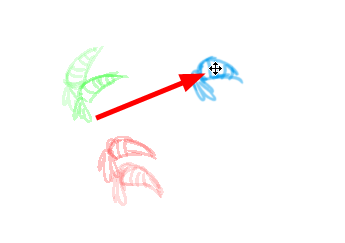 At the bottom of the Drawing view, a close up window appears to display the registration marks up close to be able to move and reposition them easier if you are zoomed out quite a bit while working on your drawings. 6. Select the Shift and Trace tool. 7. Enable the Onion Skin. Select View > Onion Skin > Show Onion Skin or press [Alt] + [O]. 8. If not done already, enable the check box corresponding to the drawing you want to allow to be transformed temporarily. All drawings are enabled for Shift and Trace operations by default. 9. Select the drawing you want to move. 10. If you want to draw more than one drawing at once, you can link them together. In the Shift and Trace panel, select several drawings and click on the Link Drawings and Unlink Drawings buttons to lock their position together. ‣ To reposition, click and drag the drawing to a new area. 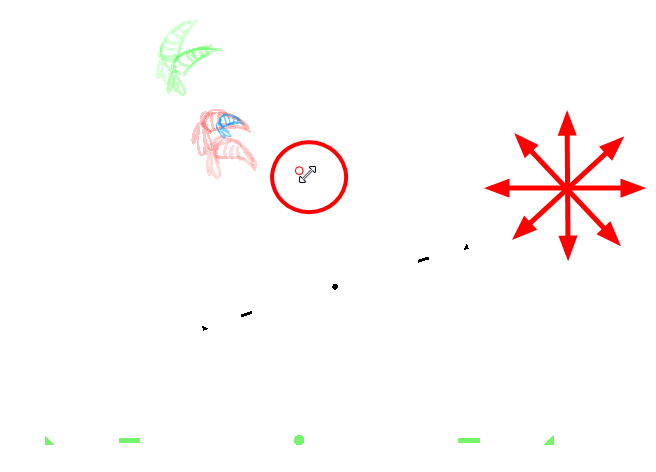 ‣ To rotate from the centre peg, click on the flat peg hole and rotate. 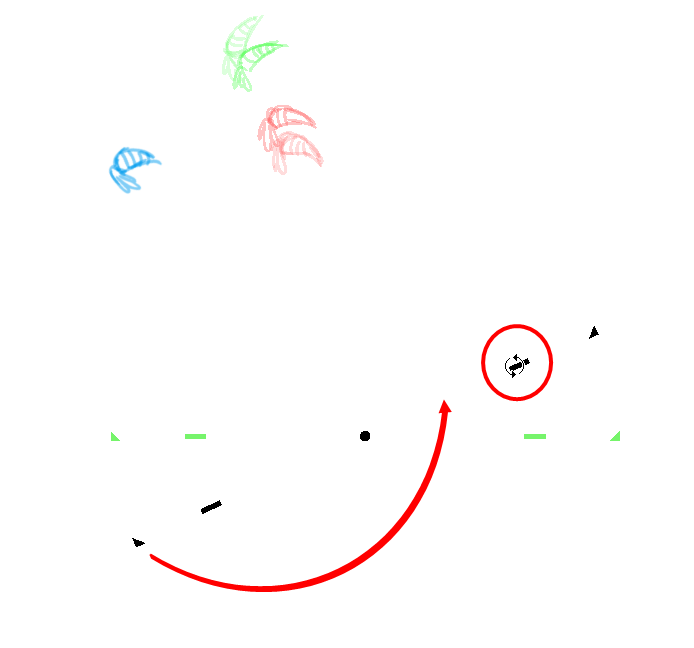 ‣ To scale, pull or push on the triangle control. 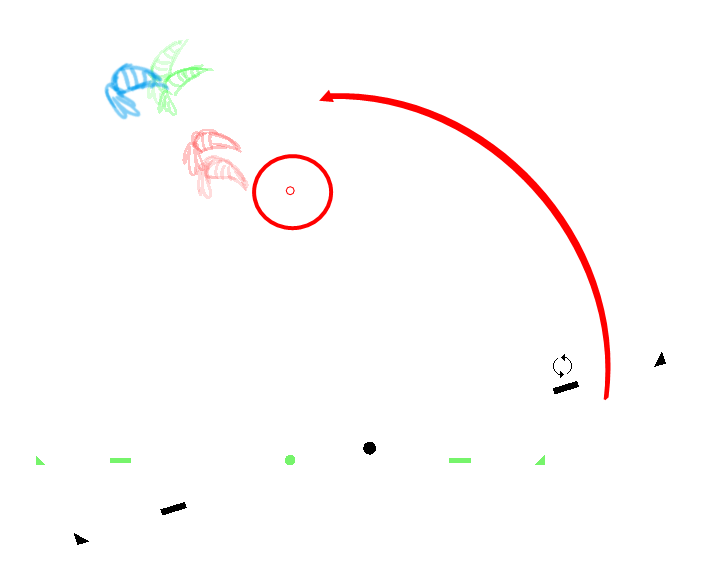 ‣ To scale from the pivot point, hold [Shift] and move your cursor. 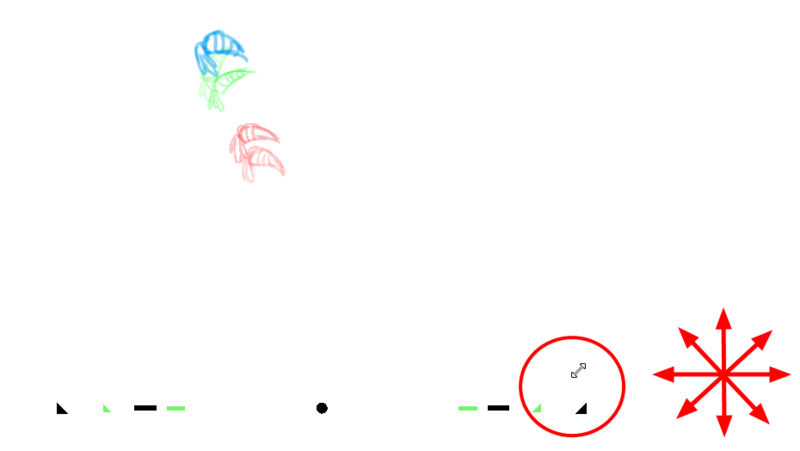 ‣ Click and drag the pivot point to move it to a new position. 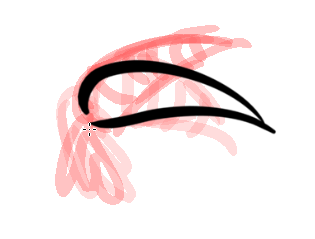 Once the pivot point have been moved, you need to hold [Alt] and move your drawing in order to show it again. 12. Once your drawing is repositioned, select the drawing into which you want to trace. 13. Select the drawing tool of your choice. 14. In the Drawing view, trace your drawing. 15. 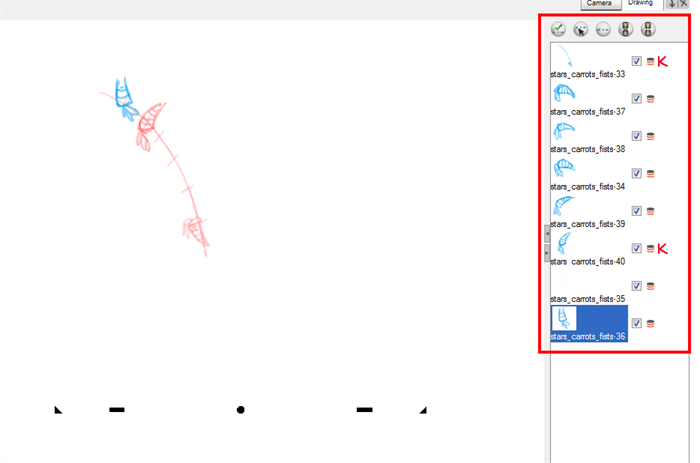 If you want to select another drawing and reposition it, you can hold down [Ctrl] (Windows/Linux) or [⌘] (Mac OS X) and click on the Shift and Trace Registration marks (Peg holes). 16. If necessary, click on the Shift and Trace Reset button to reset the position of the modified drawing. 17. 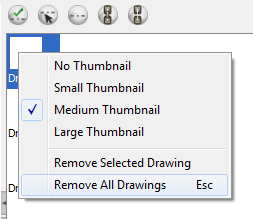 Right-click in the drawing list column and select Remove All Drawings to close the drawing list. 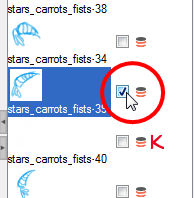 ‣ To remove one, or several, drawings from your selection without clearing the entire list, select the drawings you want to remove using [Ctrl] (Windows/Linux) or [⌘] (Mac OS X), right-click in the drawing list column and select Remove Selected Drawing.